As you may gather, I have been making a concerted effort to photograph the many knitted items that I have knit in the last few months and years. I haven't been very good with that, only with the items like socks and shawls that don't have to be modeled and I can take the photos myself!! This is one of the first items I knit with my own handspun yarn. I LOVE LOVE this capelet so much. The yarn I spun is so so soft, and it is so cozy to wear. I love it when the weather starts getting cooler so I can start wearing my knitted items!! This pattern is called Lace Capelet and it is free over at Ravelry. 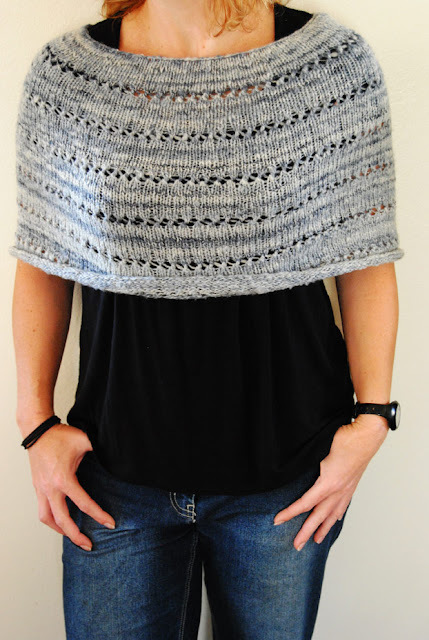 It is a fun quick knit with a great end result!! 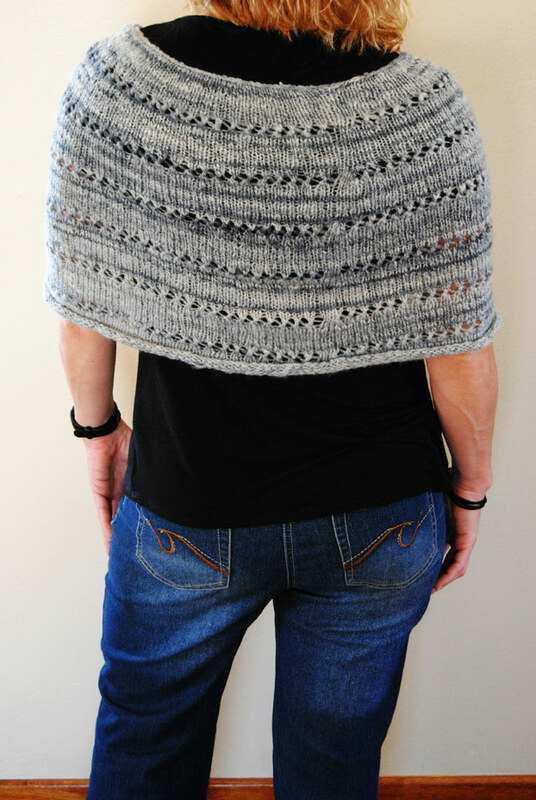 I cast on for Color Affection on Tuesday and am loving this pattern, it is hugely popular at the moment and has had 2570 people knit it and post pictures on Ravelry! Love seeing your knitting Rene...I used to knit for many, many years, but not much now....love how you spin your own wool as well. Have a great weekend. Rene, your capelet is stunning and your handspun is so even and beautiful!! You are such an inspiration. Beautiful Rene'! Your making me wish I could knit! 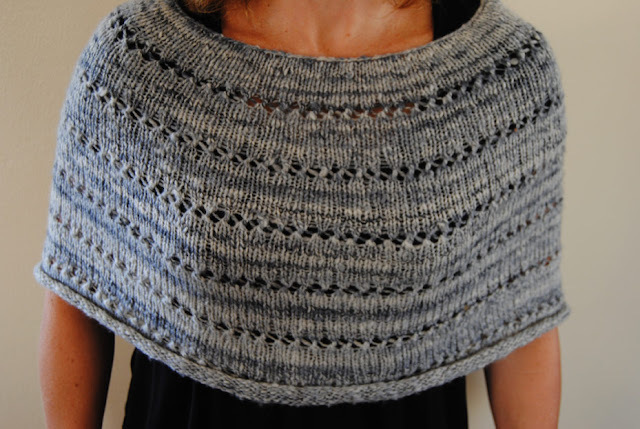 You'll love Colour Affection - I have found the pattern quite addictive!